Roses for the Queensland climate perform best if they are Black spot resistant because of the humidity of the sub tropical climate. Climbing roses, Floribunda, David Austin, Bare root, rose bush and Hybrid Tea roses will all grow well in Brisbane, The Gold Coast and surrounding areas, however in Northern parts of Queensland humidity seems to to be to great for most. 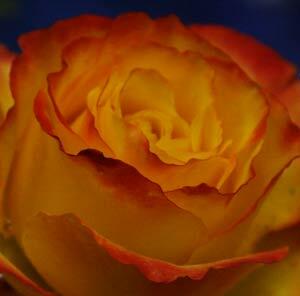 We include retail outlets and mail order only rose nurseries based in other areas and interstate. Mail order roses are best purchased in the winter months when plants are dormant. Roses purchased at other time of the year are best sourced from retail nurseries where they can be obtained as potted plants. The heat and humidity of Queensland adds few difficulties to growing roses, however some of the best rose garden in Australia are in Southern Queensland. So what do you need to do to successfully grow roses in Brisbane and Queensland. Rose beds in Brisbane and Queensland need to have good drainage, roses do not like wet root systems, so build the rose bed up a little. Choose roses that are have a history of success in warmer climates. Most rose nurseries can advise on which roses are best suited to warmer climates. Look for roses that are resistant to Black Spot, many new releases are. Remember that in the dry season you need to water the roses once or twice a week. All Types of Roses including, Hybrid Tea Roses, Bush Roses, Floribunda Roses, David Austin Roses, Old Fashioned Roses, Miniature Roses, Standard Roses and Polyantha.